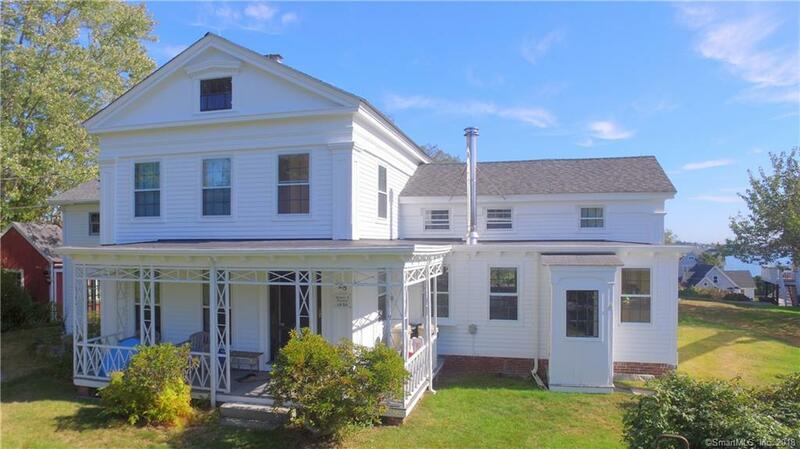 28 Church Street, Groton, CT.| MLS# 170029442 | Eastern Connecticut - Homes for Sale...from Mystic to Moosup & More ! From the Shore to the Country ! This charming Noank Village colonial has sweeping views of the mouth of the Mystic River and out to Block Island. Gorgeous original wood floors, beautiful moldings and some antique light fixtures give the home a historic, cozy feel while you sit and watch the boats sail by. 4 Bedrooms with many nooks for reading. Wood stove can provide additional heat on a cold winter day. Full walk up attic, basement and shed provide great storage. This home, right in the heart of the village, allows one to walk to restaurants, beach, boating, town dock, yacht club, park, tennis...the list goes on. A mile or so from Downtown Mystic, two hours from Boston and New York. Come see! Directions: Noank Village. To Main Street Next To Noank Baptist Church.